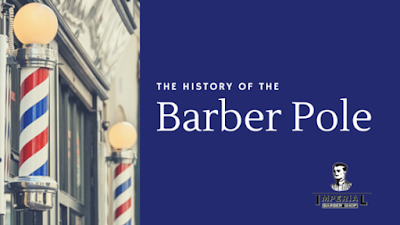 If you’re interested in reading about the origins of that whimsical red and white pole fastened to the outside your favourite barber shop, be warned: It’s bloody. REALLY bloody. During medieval times, bloodletting — the practice of drawing blood from a patient to cure an illness — was prescribed widely by surgeons, and barbers were often responsible for carrying out the procedure. While the barber pole looks pretty simple, it’s actually a combination of four separate medical implements used to treat someone suspected of having weakened, or bad blood. The basin at the top represents the brass vessel barbers would use to keep leeches; dark, ugly, segmented worms with a talent for sucking human blood. The red and white pole is equally as unpleasant. Although it was only gripped by patients to increase blood flow, its red and white colours represent bandages — red for (you guessed it) blood, and white for clean bandages. If you can get past having leeches clamp onto your skin, bloodletting was actually pretty clean. But leeches weren’t used all the time … and that meant the blood had to drain somewhere. Enter the brass basin at the bottom of the barber pole; used specifically to keep barbershops from looking like the set of Johnny Depp’s 2007 horror flick, Sweeney Todd: The Demon Barber of Fleet Street. Thankfully, medicine has changed, and so has your barber’s range of talents. Now the only thing you lose at the barber shop is your hair.